While some runways showed off metallic eyes with foil or embellishments, others inspired us with looks that we can actually recreate at home. 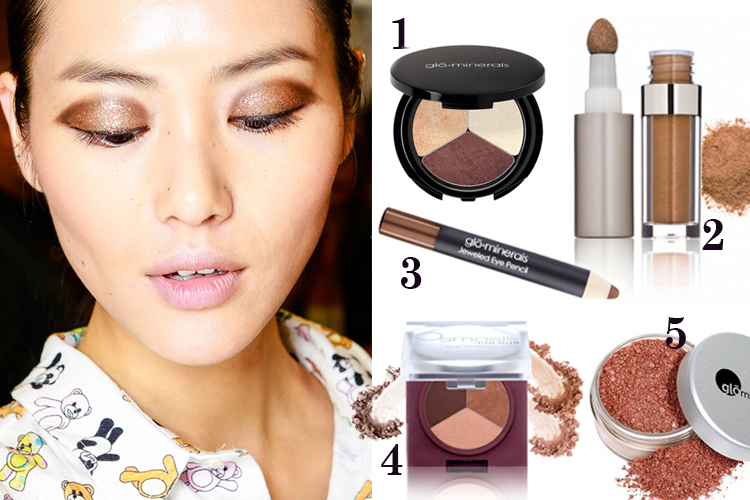 Rich metallics, like bronze and copper add warmth to fair skin and glowing shimmer to darker skin tones. These rich shades also complement all eye colors, especially blue and green. Keep your look minimal with just a hint of metallic liner, or amp up the intrigue with a metallic smoky eye. Avoid using a shimmery, sparkly blush, bronzer or lip gloss with this look as it can appear overdone. Apply your eye makeup before your foundation, just in case it gets a little messy. Be sure to check out the rest of our Metallic Eyes inspired products to create your look.